Requirements: Compatible with iPhone, iPod touch and iPad. Requires iOS 4.0 or later. Read the latest edition online through Nook Magazine. Read the latest edition online through PressDisplay.com. Anytime access to PressDisplay.com from your PC, Mac, iPhone, BlackBerry and Windows Mobile device. Each week, we send out a newsletter of the most popular stories featured recently on runningmagazine.ca. 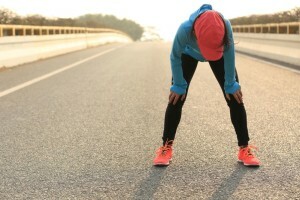 Our newsletter content ranges from nutritious recipe ideas, to tips to get you running faster, to news from the elite world of running and deals on races. Sign up for our newsletter to get Canadian Running magazine's top reads sent to your inbox. Search events by name, location, distance and date. Bookmark your favourites and add them to your calendar. Create a runner profile to rate and review the events you've done. 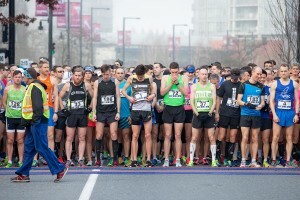 Use RaceGuide to plan and prepare your next Canadian Running experience! Canadians produced some excellent results at the 2019 Boston Marathon on Monday, and age-groupers in particular. Ten Canadians finished in the top 3 in their age categories, and 27 finished in the top 10. They are listed below. Kate Gustafson (2:42:34), Anne Johnston (2:43:02) and Krista DuChene (2:44:12) were top three Canadian women finishers overall, and Karl Augsten (2:25:30), Matthew McNeil (2:28:27) and Christopher Aranda (2:30:54) were the top Canadian men. Stuart McGregor of Ottawa was first in the visually impaired men’s division, with a 3:12:02, and Josh Cassidy of Guelph, Ont. finished ninth in the pushrim wheelchair race, in 1:29:59. 2020 Olympic marathon to start at 6:00 a.m.